As an online copywriter, my copywriter services are directed primarily at websites. This includes reviewing, planning, and writing content for blogs, knowledge centers, article marketing, and of course your main corporate website. 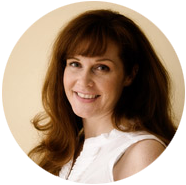 I’ve been providing copywriting services professionally since 1999, and I’d love to talk with you more about your online copywriting needs now! Website copy (that includes SEO naturally), blogging services, article writing and research, press releases, case studies, newsletters, white papers and briefs, newsletters, and more.